YOU ARE SURROUNDED BY SAINTS WHO CARE ABOUT YOUR SALVATION! Even a number of Protestant commentaries, in commenting on this verse, establish that, at a minimum, the Saints in Heaven are very interested in what is happening on earth. The picture above is based on Rev. 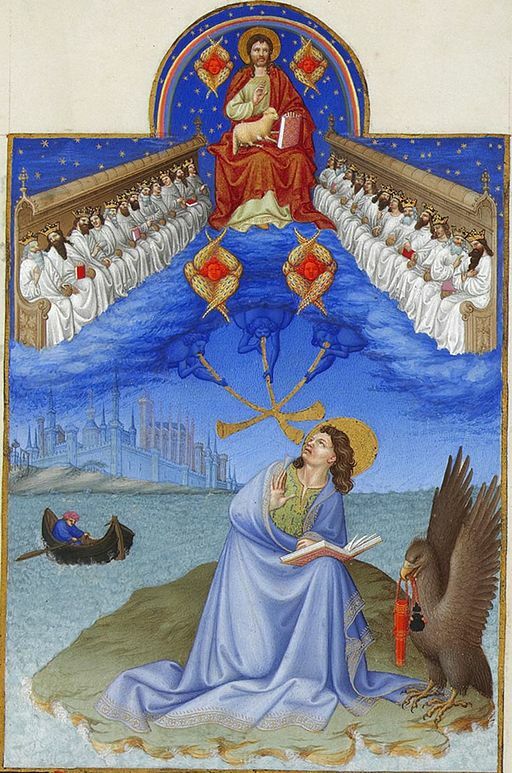 5:8, showing the Saints in Heaven bringing the prayers of the faithful to the Lord; it is entitled, Saint John on Patmos by the Limbourg brothers, around 1411, Public Domain, U.S.A.